Co-owner of Greenock-based McGill’s Buses will take over holdings in May 2014. A businessman who jointly owns one of Scotland's largest bus companies says he has struck a deal to buy former chief executive Charles Green's shares in Rangers. Sandy Easdale, co-owner of Greenock-based McGill’s Buses, announced on Friday that he had concluded a binding agreement to buy Mr Green’s remaining shareholding in May 2014. Mr Easdale has previously claimed to have purchased over one million of former director Imran Ahmad’s shares earlier in August, while his brother and fellow McGill’s Buses owner James owns a 0.55% stake in Rangers International. Any large-scale share transactions and holdings must be notified to the stock exchange, which has not yet taken place, and it is not yet clear what Mr Easdale's final holding will be. The announcement comes amid a battle for control of the Rangers boardroom. 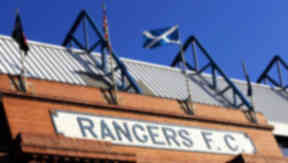 A group of institutional investors in Rangers International had requisitioned for a general meeting to be held to remove chief executive Craig Mather, finance director Brian Stockbridge and fellow board member Bryan Smart at the end of July. The meeting could take place in October. The opposition shareholders, backed by businessman Jim McColl and former Rangers chairman Malcolm Murray, are seeking to have ex-PricewaterhouseCoopers executive chairman Frank Blin and former Ibrox director Paul Murray appointed to the board. This group appears to have the backing of a major shareholder, Laxey Partners. In a previous announcement to the London Stock Exchange, Rangers confirmed 714,285 shares owned by Mr Green would be transferred to hedge fund Laxey Partners in December 2013, when his 12-month lock-in agreement over selling his shares expires. Laxey Partners has already become one of the largest single shareholders in Rangers International with a 6.53% stake. It was earlier revealed that it would vote for the removal of directors should a general meeting go ahead. This came after the Rangers Supporters Assembly, Association and Trust call on all fan investors – who own around 11.4% of the company – to vote in favour the general meeting proposals. On Tuesday, in the notification to the exchange about its increased shareholding, Laxey Partners noted that its 4.99% holding in Rangers was its current position and did not include the shares due to be transferred to it from Mr Green.